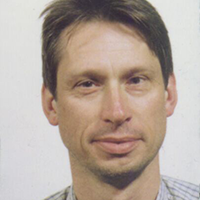 Barteld Braaksma is currently responsible for the Innovation programme and Innovation Lab at CBS, the National Statistical Institute of the Netherlands. For example, the current open data site of CBS started as a pilot under his responsibility. Other examples include the first infographics published by CBS, the introduction of a process mining tool for internal process optimisation, a number of concrete big data experiments and some pilots involving the use of mobile devices. In the past, Barteld has been involved in a broad range of activities at CBS, including research, development of new statistics, quality management and enterprise architecture. Beside his CBS duties, Barteld is active in different international groups at European and United Nations level; for example as chair of the UN/ECE Modernisation Committee on Products and Sources and member of the ESS Taskforce on Big Data. He was secretary to the high-level group that formulated the ESS Vision 2020. Barteld was trained as a mathematician, in particular in nonlinear dynamics and chaos theory. Before and during his career at CBS he taught mathematics at various universities in Holland and Belgium. In his free time, Barteld likes to play bridge; which implies a form of data processing which neither concerns open data nor big data. Albrecht Wirthmann holds a degree in physical geography, specialised in Geographic Information Systems and Remote Sensing. Satellite images always have pushed storage systems to the edge. Nowadays, they are included in Big Data. In 1992, he joined the newly created unit on economic and environmental accounting in the federal statistical office of Germany (DESTATIS). 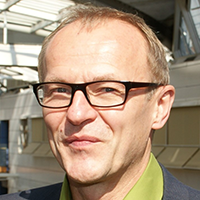 Since 1999, he has been working at Eurostat, where he contributed to preparing the INSPIRE directive and was responsible for further developing information society statistics. In Sep 2013, he was involved in drafting the Scheveningen Memorandum that marked the start of big data activities at the ESS level. Consequently, he joined the newly created task force “Big Data” at Eurostat where he worked on the Big Data action plan and roadmap. Now he is concentrating on the implementation of the Big Data Action Plan and Roadmap at the level of the European Statistical System and the European Commission.